THIS PACK AND SERVER IS NO LONGER BEING DEVELOPED! PIXELMON HAS BEEN GIVEN A C&D AND MADE USE OF IT ILLEGAL! Ever wanted to dabble in magic or build complex factories/machines, but still indulge yourself in the amazing world of Pixelmon? 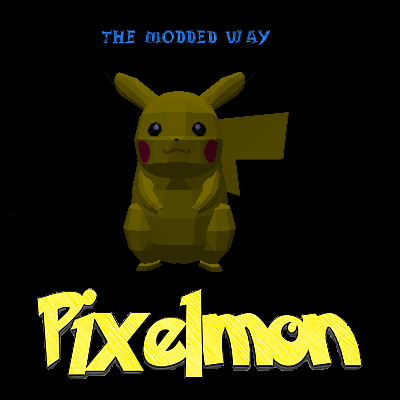 Well, The Modded Way Pixelmon has just those features! Don't worry adventurers, There's plenty of land to explore and claim in the name of exploration among the magic, tech, and Pokemon! 2.After installing Piselmon RESTART YOUR GAME to allow it to load Pixelmon. Well, Nintendo can just eat their own feces, as I am going to continue using the mod regardless. They want to sue me for using a free mod that has no way of committing copyright infringement and likely has no measurable impact on Pokemon sales, they can meet me in court. I'm afraid that's rather vague, you will need to be a bit more specific about not only what type of server but what you do not understand. I would suggest asking in the official discord server and or looking up you to make one. The server files are provided all ready although they are going to be updated in the coming weeks. Great work on finding a way to please both curse and the guys from pixelmon. Can I please borrow your configs for the pixelmon installation? I also see that you have a ModpackTweaks-MC1.10.2-CUSTOM.jar file in the mods folder. Is that a fork of the mod or something? Is it needed for the pixelmon installation to work? Yes, ModpackTweaks is a custom port of the mod to 1.10. As for the configs, im not sure why you want them but its OK if you use them. Thank you! I want to use the configs for a similar reason than you. Want to have a work around for mods that are not on curse or allowed in packs due to ToS (laziness I guess) . Am I also allowed to use your port of Tweaks? DigoryPig, this isnt the server help section, if you need help talk to staff either on discord, curse, or make a help thread on the forums (http://moddedway.enjin.com/forum).